Originally developed by SUAYLLON, S.L., spyware-secure_trial.exe is a legitimate file process also known as SpywareSecure. It is associated with SpywareSecure Application and is located in C:\Program Files by default. spyware-secure_trial.exe virus is created when malware authors write virus files and name them after spyware-secure_trial.exe with an aim to spread virus on the internet. How to check if your computer is infected with spyware-secure_trial.exe malware? How to remove spyware-secure_trial.exe malware from system using Comodo Cleaning Essentials? 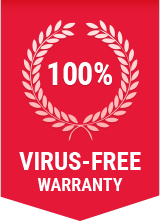 You can either choose to remove spyware-secure_trial.exe and other malwares using Comodo Antivirus, or Comodo Cleaning Essentials (CCE) – both of which are absolutely free to download! CCE is a set of computer security tools designed to help you identify and remove malwares and unsafe processes from an infected computer.